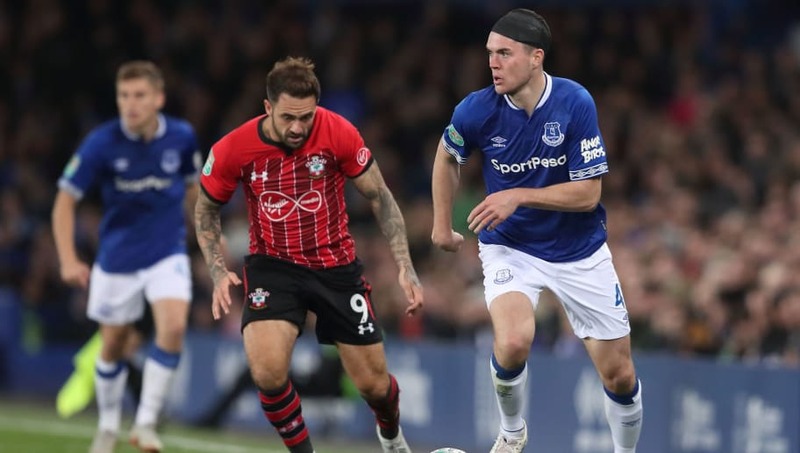 Southampton welcome Everton to St Mary's on Saturday afternoon, with both sides gunning for victory after winning their respective matches against Leicester and Bournemouth last time out. Despite winning their previous matches, both the Saints and the Toffees have won only two of their previous five Premier League games. Neither team will be hoping their poor run of form continue as they progress into the second half of the 2018/19 season. Here is everything you need to know ahead of Saturday's clash. Southampton's FA Cup hopes were dashed on Wednesday night, tragically losing to Derby County 5-3 in a penalty shootout after drawing 2-2 at the end of regulation time. However, they will be buoyed by the potential return of three first-team players for Saturday's encounter, with Ryan Bertrand, Danny Ings and Mario Lemina all in contention to face Everton after injury lay-offs. Yan Valery could also return for the Saints after serving the suspension from the red card he received against Leicester. In contrast, the visitors have no fresh injury worries aside from long-term absentee James McCarthy, who has been out for over a year with a broken leg. Marco Silva may have cause for concern in another department though. Idrissa Gueye, Bernard and André Gomes are all one booking away from suspension having collected four yellow cards each. Southampton McCarthy; Vestergaard, Stephens, Bednarek; Bertrand, Ward-Prouse, Lemina, Cédric; Armstrong, Long, Redmond. Everton Pickford; Digne, Keane, Zouma, Coleman; Gueye, Gomes; Bernard, Sigurdsson, Lookman; Richarlison. The two teams have met each other twice already this season with one victory apiece. Everton won the reverse fixture at Goodison Park 2-1 in August thanks to goals from Theo Walcott and Richarlison. Southampton then got their revenge in the third round of the Carabao Cup, knocking the Toffees out on penalties. This will be the 40th league fixture between Southampton and Everton. The previous 39 meetings have seen Everton win 17 matches as opposed to their opposition's 11 victories, with the remaining 11 matches finishing in a draw. Ralph Hasenhüttl has breathed new life into the Southampton squad to put them a point above the relegation zone up to 16th in the Premier League table. The Austrian has made his team difficult to beat too; they have suffered only two league defeats in their last five matches, including vital wins against Leicester and Huddersfield to lift the Saints out of the bottom three. ​Everton have been struggling for consistency in recent weeks. They will be aiming to win back-to-back games in the league for the first time since October after a 2-0 victory at home to Bournemouth last weekend. The lack of consistency shown by both teams over the last month makes this game a tough one to call, especially since Everton have won only two league games on the road so far this season. Southampton have been rejuvenated by Hassenhüttl, taking points off Arsenal and Chelsea since his arrival, and will be quietly confident of victory in their first Premier League home match of 2019.